Transform the complexion whilst most receptive to repair with the Elemis Peptide4 Night Recovery Cream-Oil; a luxurious formula that combines the hydration of a cream with the protective benefits of an oil. 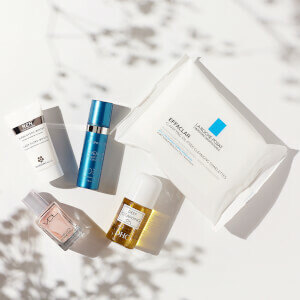 Encouraging skin renewal, the night treatment utilizes Elemis’ Tetra-Peptide, which supports skin’s natural circadian rhythm and therefore boosts repair during sleep. Perilla Seed and Night Scented Stock Oils work in synergy to ensure the complexion is balanced and restored to allow you to wake to a healthy and radiant visage. Expect intense replenishment. Aqua/Water/Eau, Glycerin, Coco-Caprylate, Cocos Nucifera (Coconut) Oil, Glyceryl Oleate Citrate, Matthiola Bicornis (Night Scented Stock) Seed Oil, Simmondsia Chinensis (Jojoba) Seed Oil, Phenoxyethanol, Panthenol, Acrylates/C10-30 Alkyl Acrylate Crosspolymer, Fragrance (Parfum), Perilla Ocymoides Seed Oil, Chondrus Crispus Powder, Tocopherol, Ethylhexylglycerin, Sodium Hydroxide, Tocopheryl Acetate, Disodium EDTA, Benzyl Benzoate, Citrus Limon (Lemon) Peel Extract, Linalool, Limonene, Hydrolyzed Yeast Protein, Hexyl Cinnamal, Sodium Benzoate, Cananga Odorata Flower Oil, Citrus Aurantium Dulcis (Orange) Peel Oil, Citrus Limon (Lemon) Peel Oil, Myristica Fragrans (Nutmeg) Kernel Oil, Eugenol, Coumarin, Citrus Aurantium Amara (Bitter Orange) Leaf/Twig Oil, Citrus Aurantium Amara (Bitter Orange) Peel Oil, Coriandrum Sativum (Coriander) Fruit Oil.